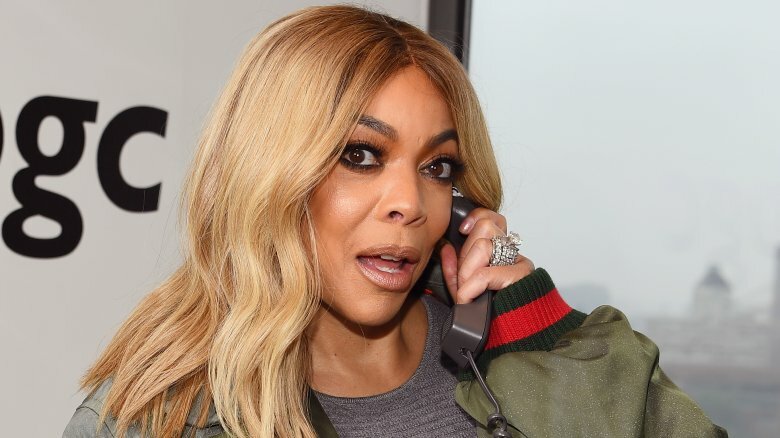 Talk show host and radio legend Wendy Williams filed for divorce from Kevin Hunter, her husband of more than 20 years, on April 11, 2019. The split was reportedly a long time coming. In early April, rumblings of a potential separation began, and court documents obtained by Radar Online state that Williams cited irreconcilable differences and claimed they separated six months ago. Her rep told Page Six in a statement, "Thank you to everyone for respecting the family's privacy during this time. Kevin is supportive of Wendy and they are working through this process together." Despite widely reported rumors about marital discord, Williams insisted for months that she and Hunter were rock solid. In September 2017, she said during her "Hot Topics" segment, "It's some sort of weird story going around the Internet regarding my husband … All you've got to do is Google him and you see the story. You can believe what you want — but I stand by my guy." Her attorneys sent cease and desist letters to a blog that reported on her alleged marriage troubles in January 2019, and Williams also denied any issues in her marriage in March 2019, when she returned to her show after a long hiatus. Williams and Hunter tied the knot in 1997 and share son Kevin Hunter Jr. (born in 2000). More than two decades and a slew of "Hot Topics"-worthy rumors later, here's why Williams finally pulled the plug on her strange marriage. 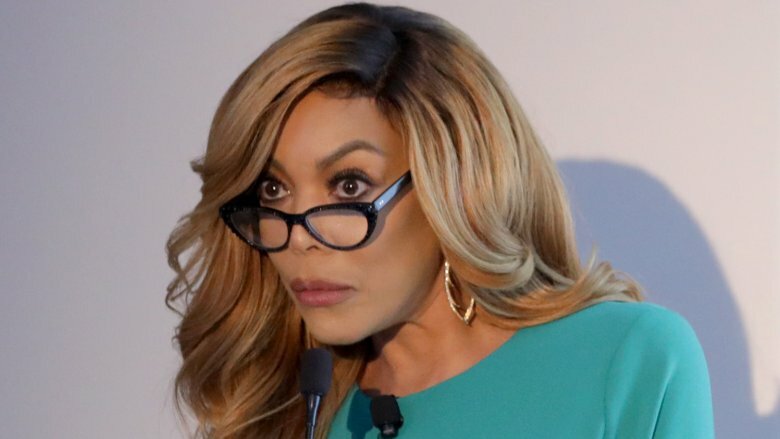 The most obvious reported reason for Wendy Williams and Kevin Hunter's split: His alleged mistress supposedly gave birth in March 2019 to a child that's widely rumored to be his. Sources told Page Six that Hunter's alleged mistress, Sharina Hudson, gave birth in Philadelphia in hopes of avoiding the press. That didn't work. A source told the Daily Mail that Williams "knew about Sharina but didn't think a baby would arrive. She didn't think Kevin would go this far." In September 2017, the Daily Mail reported that Hunter and Hudson had been together in secret for years, and that Hunter had even moved Hudson into a house nine miles from the home he shares with Williams. It was supposedly so serious that both Hudson and Hunter's names were even listed on the home's mailbox. A source told the outlet that Hunter "loves Sharina just as much as he loves his wife, so it's difficult for him to let go of either of them." The insider alleged, "They go to the gym together, they go out to restaurants together as if they're a normal couple. But then he goes home to Wendy as if everything is normal there, too. He's living a double life." It was unclear at the time if — or how much — Williams knew of Hunter's sidepiece, but her rep denied any affair, insisting Hunter and Hudson were just platonic pals. 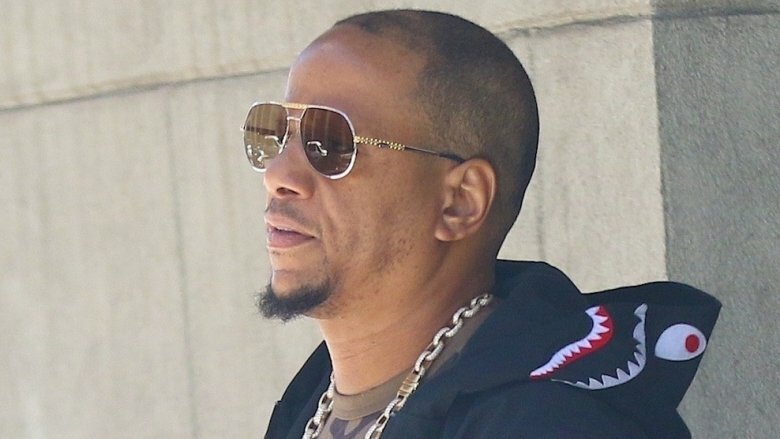 Sources told Page Six that Kevin Hunter was known for his spending during his marriage to Wendy Williams, and a lot of dough was supposedly directed at his alleged mistress. A source told the Daily Mail in 2017 that Hunter financially supported Sharina Hudson. "She lives in his place rent-free and he's bought her various different cars and nice clothes and jewelry." Hunter was often spotted in luxury vehicles, too, including a baby blue Ferrari and a Bentley. An insider told the outlet: "Kevin is in love with Sharina but he told her he can't leave his wife, but the only reason he is still with Wendy is because he and Sharina can't take care of themselves — they need her money." In early April 2019, Page Six reported that Hunter upgraded Williams' watch with 25 carats of diamonds, but it appears the damage was too great even for a girl's best friend to mend, and now all bets may be off. According to Radar Online, Hunter may pursue Williams' riches in their divorce. "He's been telling pals if she starts to make this nasty, he will not hesitate to drag her through the mud," a source claimed. "Kevin has so much on her, there will certainly be no Wendy Williams Show by the time he's finished. He feels a few million for him to sign an NDA and start fresh is a bargain. It's either that or certain ruin for Wendy." Kevin Hunter has cheated on Wendy Williams in the past, at least according to his estranged wife. Williams confessed in her memoir, Wendy Brings the Heat: The Queen of Radio Tells All, that Hunter was unfaithful right after they welcomed son Kevin Jr., though it's not clear with whom Hunter cheated at that time. She elaborated on the incident to Vlad TV in 2013, explaining that she found out Hunter was having an affair when she overheard him engaging in some "greasy talk" on the phone one night. She decided to stick with him, despite his infidelity. "I'm not back to the girl I was before him, because when you get stung like that, you never go back to who you were," she admitted. "Only a fool does. But I love him, and he loves me, and we addressed it head-on." She added that she didn't regret standing by her man. Part of why Wendy Williams didn't divorce Kevin Hunter sooner may be because they've been mixing business with pleasure for decades. He's her manager, business partner, and an executive producer of The Wendy Williams Show. A source told the New York Daily News in 2013: "Kevin makes all the decisions and has become more and more controlling as the show has become a success. He insists that all show questions be run by him." The insider added, "Wendy is smart. No one can understand why she does not tell him to f**k off. He is making everyone's lives miserable and is causing problems on an otherwise great show." In early 2019, sources told Page Six that Hunter even tried to control Williams' diet. A former producer told the tabloid, "At one point she became vegan-esque. Kevin would berate her if she ate something that was not on their eating plan. He'd scream, 'Don't be a fat a**! It's a cycle of abuse." Yet another insider told the Daily Mail that Hunter "controls everything, he takes her phone, she has zero friends, she's not in regular contact with her family. He controls every aspect of her life because he's insecure." 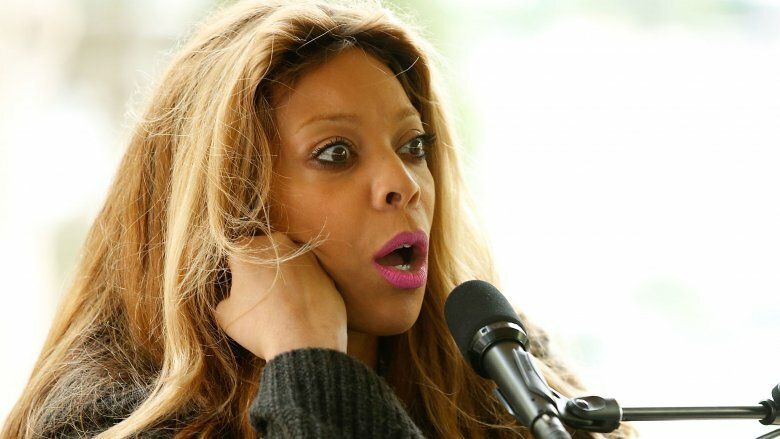 Kevin Hunter has been accused of being physically abusive towards Wendy Williams for years. Hunter's mother told the National Enquirer (via Bossip) that she witnessed Hunter assaulting Williams. A former intern for the talk show host alleged to Page Six that staff often overheard "slaps or some kind of tussling" on the set of Williams' show. In 2008, TMZ reported that a former employee of Williams' claimed to have witnessed Hunter choking his wife and pinning her against a wall of the studio. Page Six also reported that a source witnessed Hunter physically attacking Williams in a car so badly that a parking attendant called police. Williams denied the allegations. More recently, the Daily Mail reported that the hairline shoulder fracture Williams suffered in late 2018 was allegedly the result of a heated spat with Hunter about his affair with Hudson. Williams may have hinted that her shoulder injury was the result of an altercation. On her show in March 2019, she asked the audience: "What kind of man beats a woman?" Williams then pointedly glanced down at her shoulder. TMZ reported that Williams was served divorce papers at the New York City studios where they film The Wendy Williams Show. The site claimed extra security guards were on hand in case Hunter "got enraged," but he reportedly didn't lash out at work. Did he trigger her relapse? 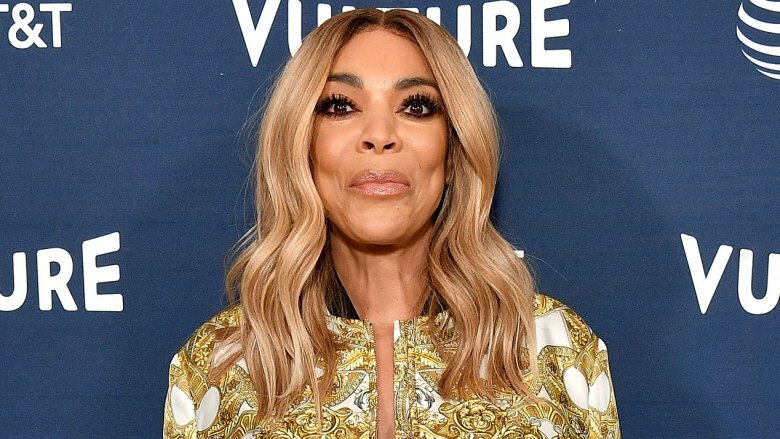 In March 2019, Wendy Williams revealed on her show that she was living in a sober house. The gossip queen has been open in the past about her addiction to crack cocaine, and she had reportedly relapsed after abusing alcohol and prescription drugs. Months before that, Williams had fractured her shoulder and was slurring on air, the latter of which she blamed on painkillers prescribed to her following her injury. 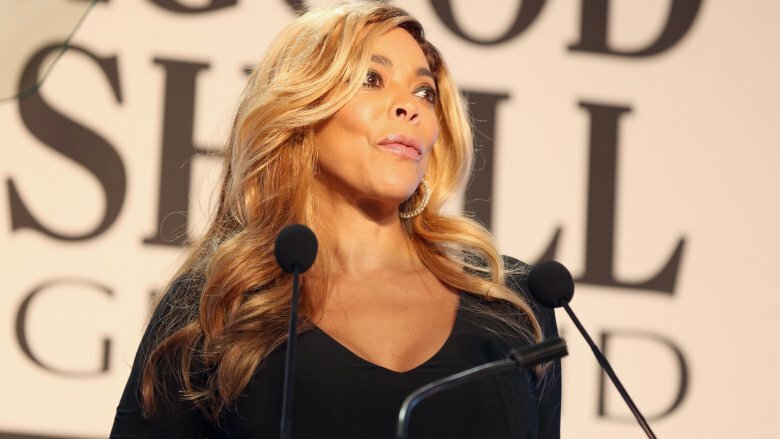 Williams took an extended hiatus from The Wendy Williams Show, reportedly to deal with complications from Graves' disease, a thyroid condition she was diagnosed with after fainting on the air in October 2017. However, the Daily Mail reported that Williams' marital troubles may have triggered her relapse. According to the site, "the TV host confronted Hunter about his mistress after she hired a private detective … But the situation caused her to spiral out of control and turn to booze and drugs." Shortly after the alleged love child was born, rumors flew that Williams had checked herself out of the sober living facility and was later hospitalized after her team discovered she'd been drinking. 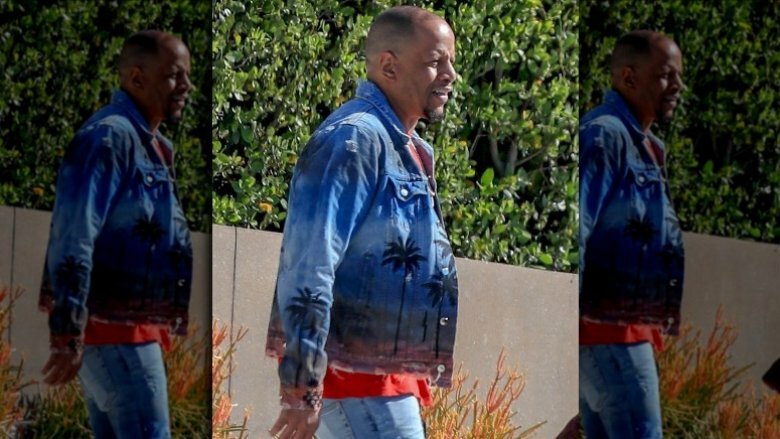 Despite allegedly trying to control Wendy Williams' every move, some sources say Kevin Hunter is the one who wanted a divorce. "[Hunter] has wanted to separate so that they would be free to live their own lives," a source told Us Weekly. "Wendy has begged Kevin to stay with her. It's been a very long, sad, vicious cycle." In fact, some insiders claim Hunter actually joked about being served divorce papers. That may explain why, despite so many headlines about Hunter's alleged cheating and mistreatment of the hostess with the mostess, Williams had insisted she would never leave her husband. On her March 4, 2019 comeback episode, Williams pointed to her ring on the air and said, "Marriages are not easy — and don't ask me about mine until you see this gone. It ain't going anywhere, not in this lifetime. He is my best friend, my lover, he's all this and he's all that. I know what you've been saying and I know what the streets have been talking about." 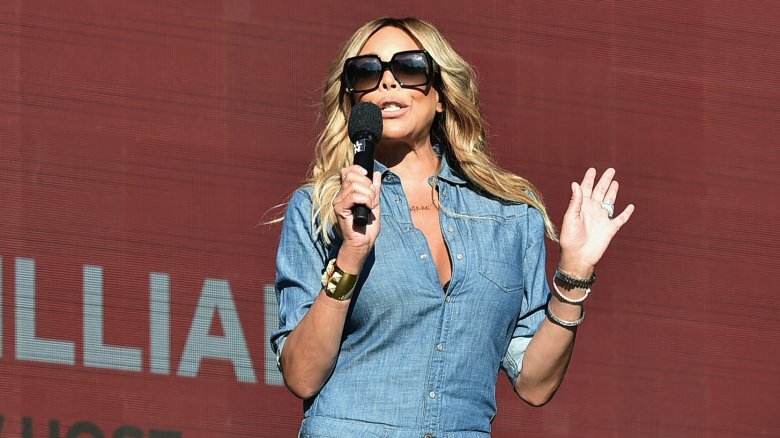 Two of Wendy Williams' close confidantes publicly urged her to leave Kevin Hunter. 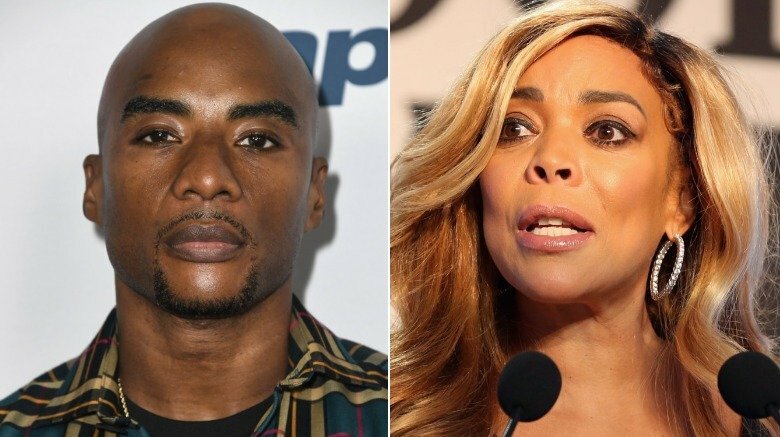 Radio personlity Charlamagne Tha God, for whom Williams was previously a mentor, told Page Six that he introduced Hunter to Sharina Hudson, who Charlamagne has known since childhood, for business purposes. He alleged that Hunter accused him of hooking Hudson up with other guys, then fired him from The Wendy Williams Show. Charlamagne said, "Kevin has literally gone out of his way to try to stop my livelihood, to cut my head off and stop me from other jobs. He has done it a couple of times. Kevin has definitely got a couple of cease and desist letters from my attorney." He added, "The only rehab [Williams] needs is from Kevin Hunter." Another of Williams' pals, musician Paul Porter, told Page Six that Hunter is a "control freak" and "a terror." He added, "For some reason she can't break away." In Wendy Williams' memoir, Wendy's Got the Heat: The Queen of Radio Tells All, she wrote (via the Daily Mail) that there were some circumstance under which she would divorce Kevin Hunter: "The only thing that would make me walk out for good is if he lied about anything — if he was in love, if she was just as successful at what she does as I am in my career, if she had his baby." If the rumors are true, it may be time for Williams to heed her own words.